R-spec is a range of enhanced FPV products, consisisting of a handling package built on the base models of the GT and F6. During the BA-BF series, the R-spec badge was used on the F6, GT 40th anniversary and Cobra models. The FG GT R-spec is the halo-model of the range, with the honour of being the quickest Australian production car ever produced. With the introduction of the BF series, FPV introduced the R-spec Handling package in limited numbers. The biggest change was new dampers supplied by Delphi, which provided better steering feel, turn-in and response, without compromising general road comfort. 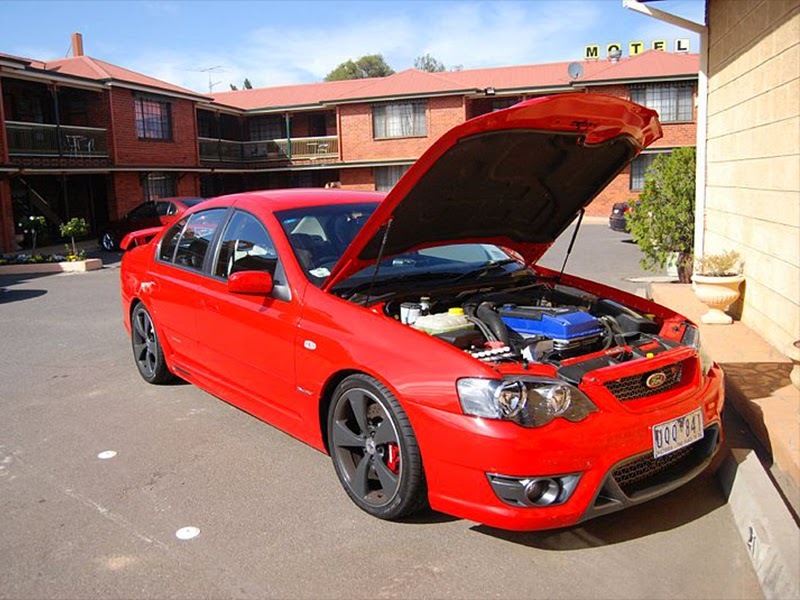 FPV also added a higher capacity oil cooler on automatics for the rigorous track use. The package was tested by legendary Australian racing identity John Bowe, who was able to cut 3 seconds a lap over the normal models at Winton Raceway. The FPV GT40th Anniversary commemorates 40 years of the Falcon GT legend in Australia, which stretches back to 1967, with the original XR GT. Only 200 examples of the BF GT 40th anniversary model were build, making it not only the first R-spec but also the rarest, each one fitted with a unique build number badge, and all vehicles sold came with a certificate of authenticity, FPV floor mats with anniversary logo and integrated iPod/MP3 player input. 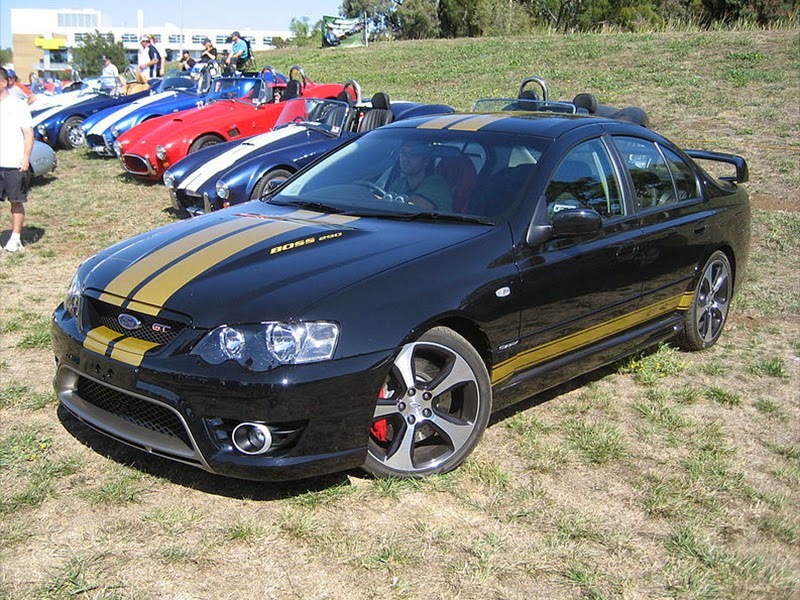 All vehicle were finished in silhouette black with a striking gold over body stripe kit last seen on a locally produced Ford model with the XC Cobra Hardtop. Gold GT lower body stripes with a 40th anniversary decals on the rear doors. All vehicles were fitted with 19" GT-P alloy wheels with gloss black accents to complete the standout exterior package. The BF GT40th was the first FPV vehicle fitted with the race tuned R spec suspension package making it a true dual purpose road and track car. The 40th Anniversary GT was released in April 2007, and retailed for $65,110.00 excluding dealer delivery and statutory charges. Out of the 200 vehicles produced, 112 were fitted with a six speed manual transmission and 88 were fitted with an automatic transmission. FPV followed on with the F6, the F6 gaining the R-spec handling package, and gray accents on parts such as the spoiler legs. The BF F6 is the only non-V8 R-spec product. 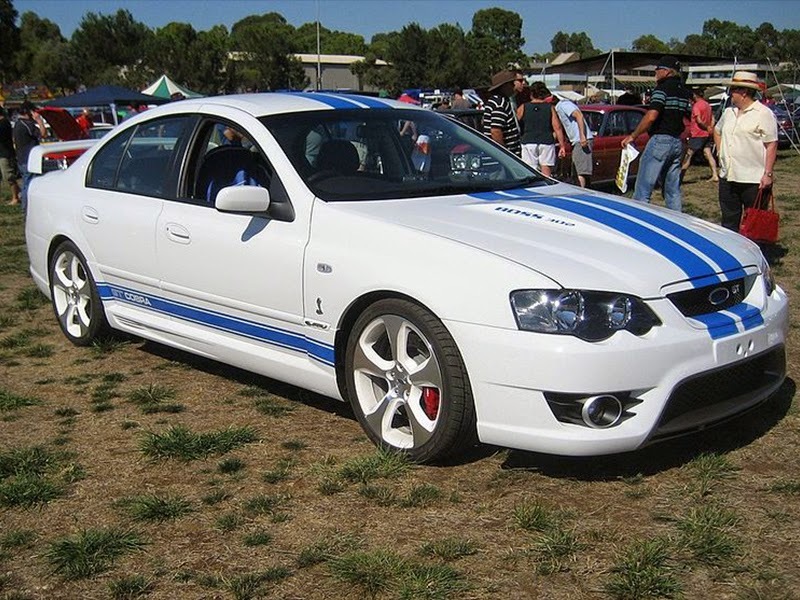 In 2008, FPV released the Cobra models, in celebration of the famous "one, two" Bathurst finish 30 years prior. 400 sedans (100 utes were built, but not as R-spec models) were produced, and both featured the distinctive blue on white scheme seen on the XC Cobra models in 1978. The power was also increased to 302 kW (over 290 kW), making this the only R-spec badged vehicle to benefit from a power upgrade. On release, dealers were charging vastly more (up to $44,000) then the RRP of the model, as were enterprising buyers whom sold them on for more than what they paid for. The model has since become highly collectable. In July 2011, FPV displayed a concept at the Melbourne motor show. The officially unnamed, but universally referred as the "black edition" concept was a hint at what FPV had in store for us. The concept featured black on black styling, suspension upgrades and had a wheel and tire package that hinted at what the R-spec was latter equipped with. A raft of changes includes a launch control system, stiffer engine and transmission mounts and retuned suspension. The suspension gains stiffer upper control arm bushes, stiffer upper strut mounts and retuned dampers in the front, with the rear gaining higher spring rates, retuned dampers, a larger anti-roll bar and reinforced lower control arms. The rear also gains a wider (9-inch-wide rear wheels and 275/35 R19) wheel and tire package, and revised toe settings. 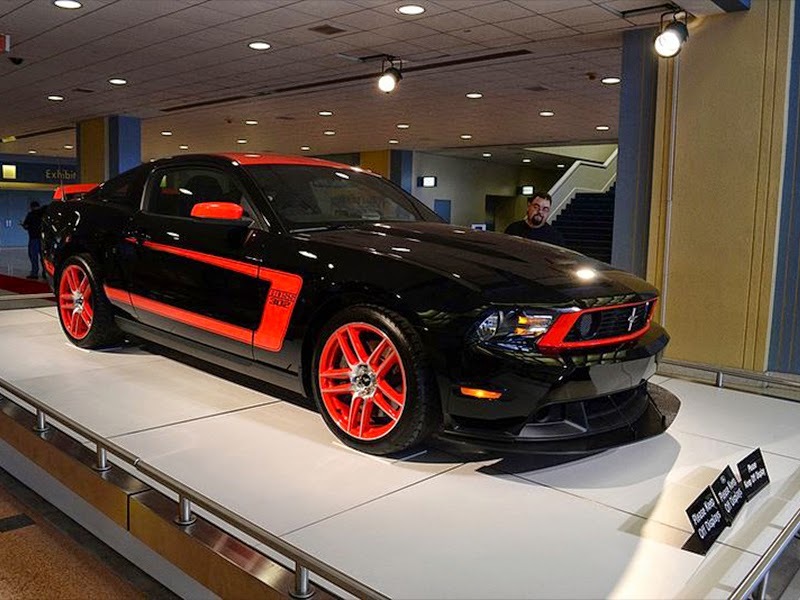 175 were built in the distinctive silhouette black, with red highlights and a "c" stripe down each side, referencing the Mustang Boss Laguna Seca models. Kinetic blue, vixen and winter white were also available to order, these colours featured black accents and stripes. The NSW Police Force chose a winter white R-Spec (build number 150) to commemorate the NSW Police Force’s 150th anniversary in 2012. 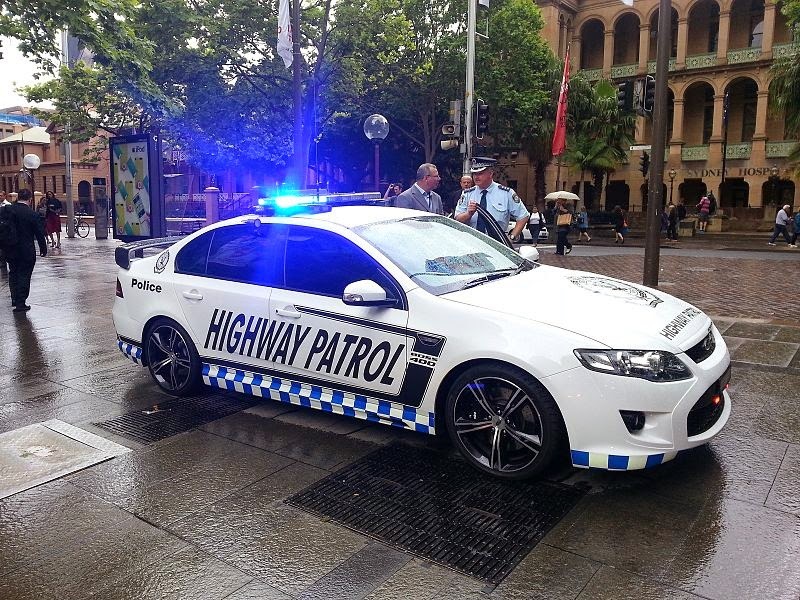 With the power upgraded to 400 kW, it makes it the most powerful Australian highway patrol car ever, and will be used as a public liaison and awareness tool at motorsport events across the state. 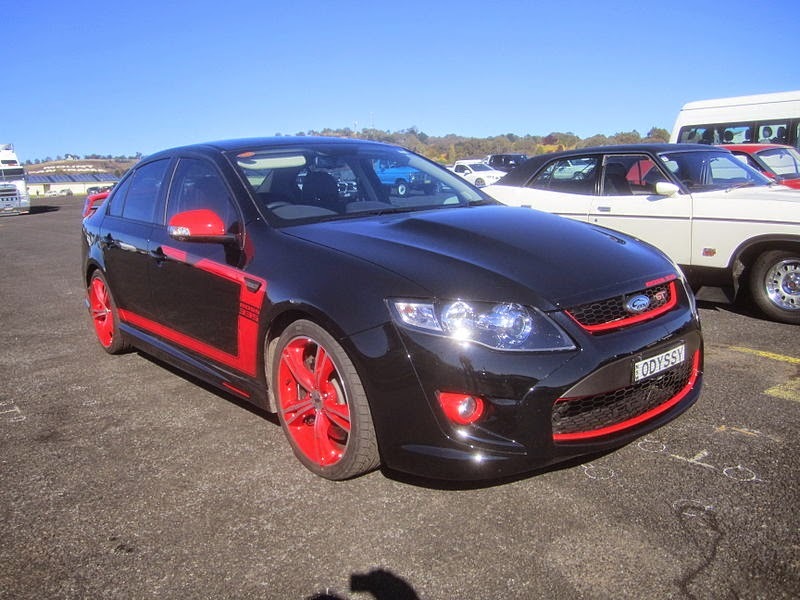 These times better those set by the rival HSV W427 in 2008, then at the time Australia’s quickest production car. As a final send-off for the iconic GT Falcon, FPV released 500 falcons as the "GT-F 351", bringing back the 351 nomenclature applied to GT models in the 60's and 70's. This time however, 351 alluded to the engines kilowatt power output, rather than cubic capacity. The GT-F received all the suspension and drivetrain upgrades from the FG R-spec, coupled with an engine featuring a remapped tune to bring the total output to 351kW (with an "over-boost function" bringing power to 400+kw's for short periods, dependent on conditions). From the outside, the GT-F continues the visual impact of the R-spec, with a new unique stripe kit consisting of a single stripe over the top of the car's body, and painted blackouts on specific areas of the car. Last updated on 1 July 2014 at 10:59.